Many fans of Minecraft PE 0.13.0/0.14.0 would like to play as an archaeologist and so, this mod gives you such an opportunity! 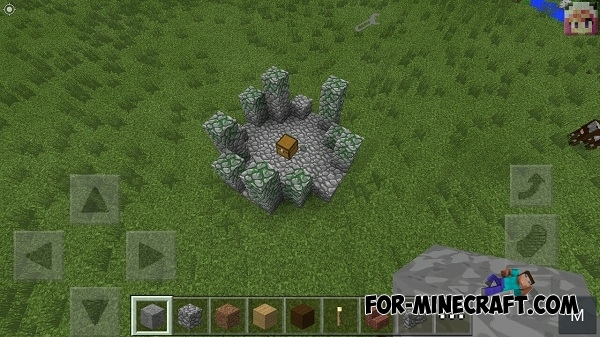 The mod adds 9 different structures (dungeon) to the game, which will be randomly generated in the world. In some you can to find treasure chest. 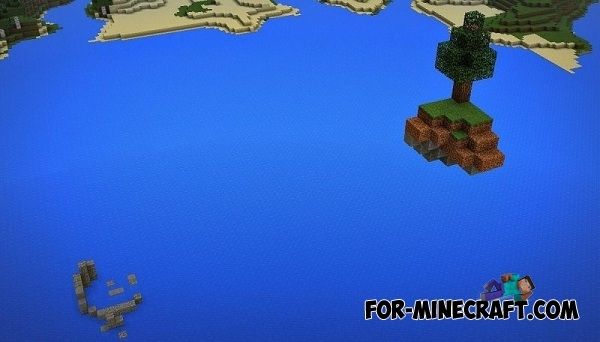 After installing the mod just create a new world and explore it to find the coolest items. How to install Ruins mod? Click on the wrench key, then "Settings" and "ModPE Script". Now click on "Add" button, find the downloaded script (mod) in your device's file system and click on it (Ruins v3.1.js). 1. The mod adds ruins that randomly spawn in the world (in the desert is located a pool of lava (in the center was hidden the chest with things), spawn ships in the seas), so you'll find a chest with good things. 1. For some strange reason mod only works with enabled WiFi. That's all, explore your MCPE world, all good luck!